Two things: 1) Tuesday, Nov. 25 was Emily Sue’s 3rd Birthday. Happy, happy birthday to my beloved black and tan. We spent the day chilaxing at home, one of Emily’s favorite pastimes. 2) Thanksgiving is nearly here and we have so much to be thankful for this year. If anyone wants to commemorate Emily Sue‘s 3rd birthday you’re encouraged to make a donation in her name to the charity she proudly supports – DOGS. In exchange for your donation you’ll receive an original 5×7 postcard featuring the birthday girl. 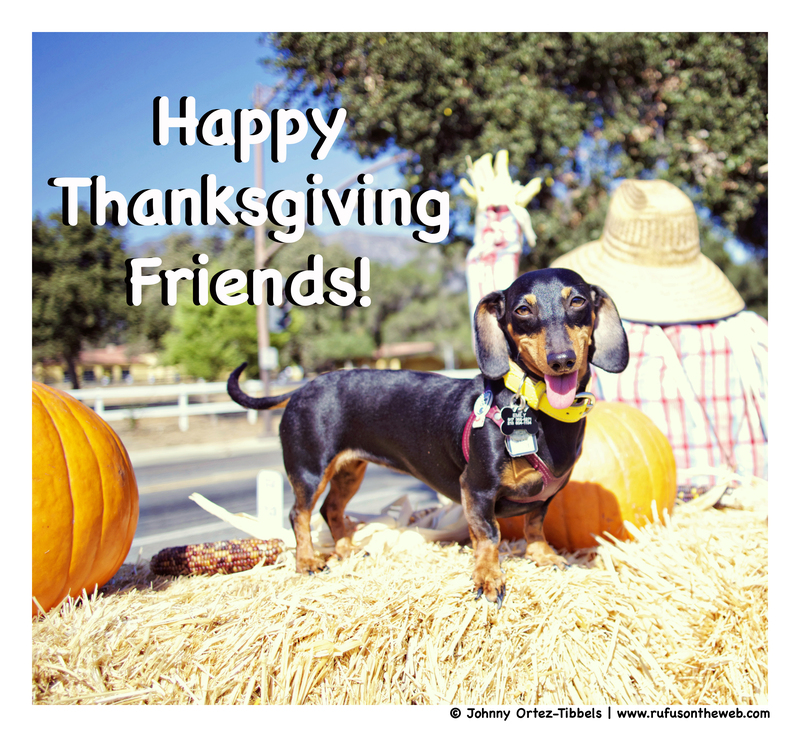 Additionally, Emily and the whole pack want to remind everyone to take advantage of the limited-time promotion at PetMyWiener.com; it’s timed perfectly for the start of the holiday shopping season. Using the promo code RUFUS, you’ll save 5% and 5% will be donated to the charity DOGS. The sale will concluded at the end of the month on Sunday, Nov. 30. Don’t miss out. 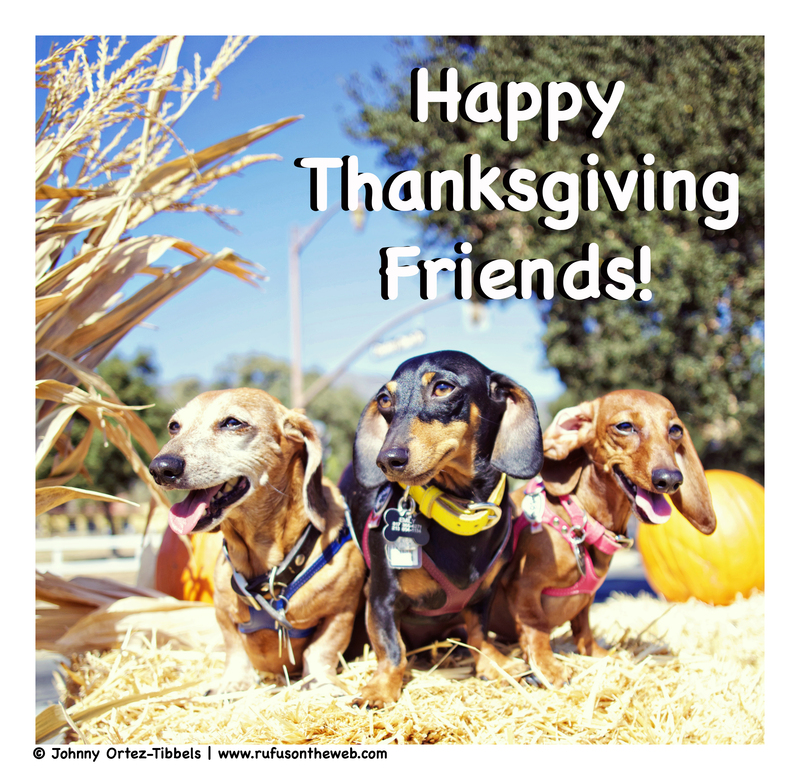 This entry was posted in Emily, Lily, Rufus and tagged #ADachshundsLife #HappyHounds, #black and tan dachshund, #CelebratingwithDachshunds, #charity #fundraiser, #HappyBirthday #DachshundBirthday, #red dachshund, #smooth dachshund, #Thanksgiving, #WienerDogs #HotDogs, doxies. Bookmark the permalink. gorgeous family & happy birthday emily! !